Join us this week as we welcome Country Rock music singer songwriter, Mark Mackay. A blazing guitarist, an evocative vocalist and a songwriter steeped in authenticity: At the crossroads of country music and rock and roll is where Mark makes his stand. Fronting a powerhouse band, he rocks the room with rowdy charm and persuasive conviction. Within the last year has opened for country stars like Frankie Ballard, Eli Young Band, Cole Swindell, Tracy Lawrence and Old Dominion, plus legendary rockers The Marshall Tucker Band, 38 Special, Richie Sambora (Bon Jovi) and Orianthi. 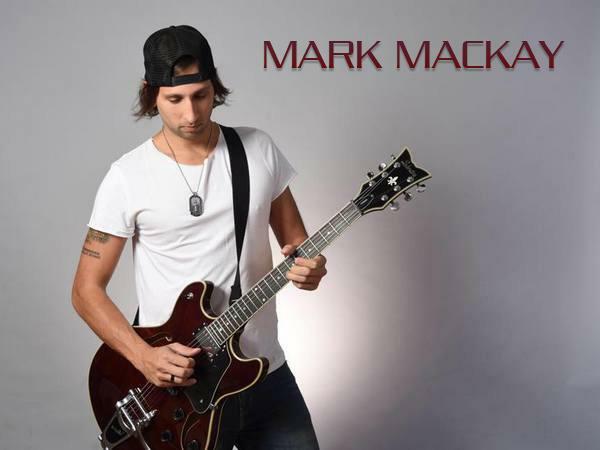 Playing over 230 shows last year, earned him a well-deserved slot on Music Connection’s “Top 100 National Live Acts.” Mackay just released his debut album on May 1, 2017, appropriately titled Trials & Tribulations, of which he either wrote or co-wrote every track on the record. As Mackay is always touring throughout the year, this earned him early supporters through sponsorships via Schecter Guitars, D’Addario, Seymour Duncan, Deering, and Red Bull. We will talk to Mark about his upcoming schedule, get a behind the scenes look at his music, feature his latest songs, and ask him to share his message for the troops. Please be sure to visit Mark Mackay at http://www.markmackayofficial.net/ and spread the word. And as always we will give shout outs to our deployed military listeners. Our message to the troops: WE do what we do, because YOU do what you do.